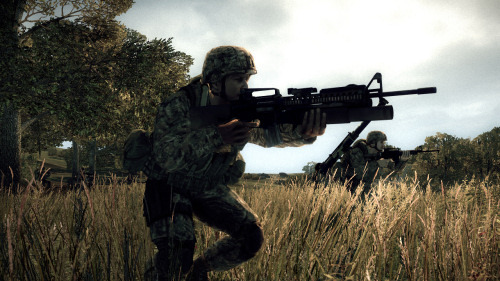 We rather enjoyed Operation Flashpoint 2: Dragon Rising last year on the Xbox 360 and PC. Four player co-op tactical military operations with beautiful graphics made for an engaging experience. Now you can enjoy the PC version of the game, via Steam, for the obscenely cheap price for $4.50. The game was released at a $50 price point and dropped to $30 sometime later making it a great deal at that price. But at less than $5 it's an almost impulse buy. Heck, you can pick up 4 copies for less than the original price for cooperative play. If anything, you can take some pretty screenshots of the game for desktop wallpaper and then share it with your friends - it's almost like co-op! Update: Gah! It appears we sat on this story for too long, the price is now "up" to $10.19. Still a good deal.